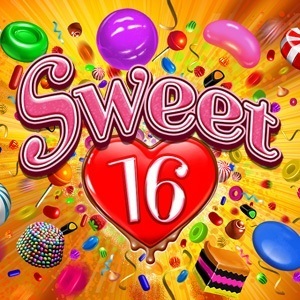 Celebrate that special Sweet 16 birthday all over again, topped with kisses, candy and sugar, with the candy-themed online slot game from RTG, Sweet 16! 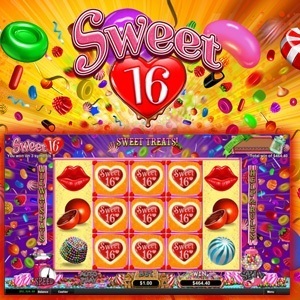 You won’t need a sugar high to enjoy, this slot is full of moments that will make your mind rush! 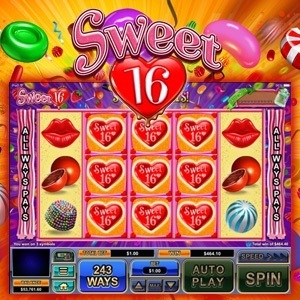 With 5-reels and 243 All Ways Pay combinations, you’ll have more fun than you ever did at any old birthday party - this time you can win money with the many thrilling bonus features! Look forward to Scatter wins that can be multiplied, grouped Wilds, free games, and most importantly, a special game feature which transforms or ‘morphs’ symbols, replacing them with even more winning combinations! Available on Download, Instant Play and Mobile, this is a party you won’t want to miss!